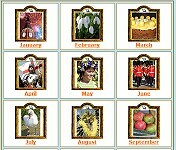 August, the eighth month of the year and the sixth month of the Roman calendar. The Romans called the month Sextilis, which means sixth. Eight years before Jesus was born the name of the month was changed to Augustus in honour of the Roman Emperor Augustus Casesar, because many of the important events in his life happened around that time of year. The Anglo-Saxons called it Weod monath, which means Weed month, because it is the month when weeds and otehr plants grow most repidly. August is the busiest time for tourism, as it falls in the main school holiday of the year, the summer holidays, which lasts for six weeks for state run schools. 1st August is Lammas Day, and was Thanksgiving time (Harvest time) in Britain. The name comes from an Anglo-Saxon word Hlafmaesse which means Loaf Mass. The festival of Lammas marks the beginning of the harvest, when people go to church to give thanks for the first corn to be cut. This celebration predates our Christian harvest festival. On Lammas Day farmers made loaves of bread from the new wheat crop and gave them to their local church. They were then used as the Communion bread during a special mass thanking God for the harvest. The custom ended when Henry VIII broke away from the Catholic Church, and nowadays we have harvest festivals at the end of the season. Michaelmas Day (September 29) is traditionally the last day of the harvest season. Lammas Day used to be a time for foretelling marriages and trying out partners. Two young people would agree to a "trial marriage" lasting the period of the fair (usually 11 days) to see whether they were really suited for wedlock. At the end of the fair, if they didn't get on, the couple could part. Lammas was also the time for farmers to give their farm workers a present of a pair of gloves. In Exeter, a large white glove was put on the end of a long pole which was decorated with flowers and held on high to let people know that the merriment of Lammas Fair was beginning. To bring good luck, farmers would let the first corn bread go stale and then crumble it over the corners of their barns. The hottest days of the year often fall in August. 'Dry August and warm doth harvest no harm'. Dating from 1947, the Edinburgh Festival is primarily a celebration of the performing arts, with live concerts, plays, ballets, operas and other shows. The Eisteddfod is an older tradition, revived in the 19th century. It originated as a medieval gathering of bards and minstrels, attended by people across Wales, who competed for the prized chair at the noble's table. Held during the first week of August, it celebrates Welsh arts and culture. 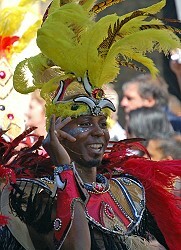 The carnival is held on the Summer Bank Holiday, the last Monday in August. 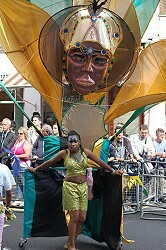 It features a colourful procession, elaborate and extravagant costumes, and the music of many steel bands. The carnival originated in the mid 1960s as a way of celebrating and maintaining the cultural traditions of the Caribbean immigrants who live in and around the Notting Hill area. 6th The sandwich was named after the Earl of Sandwich. It is said that in approx.1762, the Earl of Sandwich asked for meat to be served between slices of bread, to avoid interrupting a gambling game. 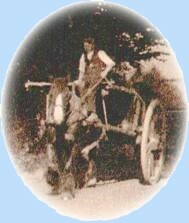 12th The Model T Ford, known as the Tin Lizzie and the first mass-produced car, went on sale in 1908. 12th The first communications Satellite, Echo 1, was launched in 1960 from Cape Canaveral in Florida. 12th "The Glorious 12th". The start of the Grouse season in Britain. 15th India and Pakistan gained independence from Britain. 15th Formation of the first regular police detective force in Britain (1872). 18th National fire service established in Britain (1941). 21st The Mona Lisa, by Leonardo de Vinci, was stolen from the Louvre Gallery in 1911 not recovered until 1913. 22nd The Battle of Bosworth 1483 – Henry VII beat Richard III.